Director, William Lu, a native of Northern California, received his BA in anthropology from the University of California, Los Angeles. During his studies, he also served as an intern and development assistant for David Madden and Robert Cort at the Cort/Madden Company on the Paramount Pictures lot. Use the link below to listen to the archived show. Subsequently, William attended the graduate film conservatory at Florida State University where he received his MFA in film and television production. While there, he produced the 35mm thesis film “Two-Bit,” which was a 2003 Student Academy Award finalist. Upon graduation, he returned to Southern California where he was hired as an assistant at the SyFy Channel. Joining several FSU alumni, William then spent three years at Herzog & Company where he worked in various capacities in their television, web and entertainment marketing departments producing content for clients such as Disney, Paramount, Dreamworks and Sony Pictures. In 2005, he was the recipient of the Los Angeles Asian Pacific Armed with a Camera Fellowship; the grant recognized emerging media artists and funded his short film Spy Moms, which was shot over the course of one weekend. Spy Moms later screened at all the major Asian American festivals and made its cable broadcast debut later that year. In 2006, he wrote and directed Asian Task Force, a half-hour mock pilot that paid homage to many of his favorite 80’s television series. The film was awarded “Best Action Short” at the 2007 Los Angeles Digital Video Film Festival and screened at the 2008 San Diego Comic-Con. 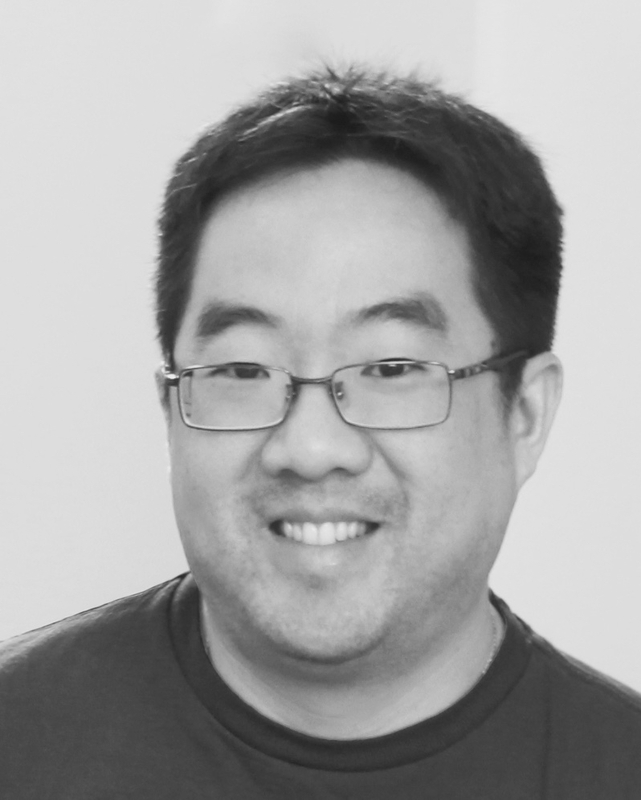 In 2009, William made the transition into new media and worked as post production supervisor at Machinima on their Terminator: Salvation original web series. He was subsequently hired at Maker Studios where he produced content for their gaming vertical. He also created and hosted the show “Retro Hardware” for the company. In 2012, he switched to freelance producing, serving as a co-producer for Rosanna Pansino’s “Nerdy Nummies” blockbuster YouTube series, while simultaneously developing feature content that he could later direct. In 2015, he directed the feature drama Comfort from his own original screenplay. The storyline and characters were inspired by the John Hughes movies of the 80’s, while Michael Mann’s LA nightscapes served as a stylistic inspiration. Shortly after completing Comfort, he returned to Maker Studios, producing for clients such as SlingTV and Verizon Go90. 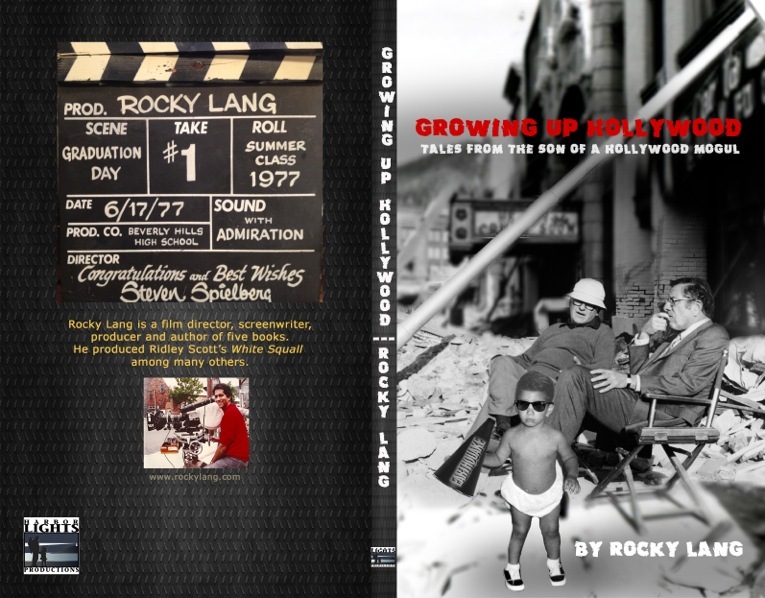 Stay tuned to Rex Sikes’ Movie Beat for other great interviews and more. James Breckenridge has worked in the entertainment industry for over 25 years. In 1995, his years of professional training and experience culminated in the founding of The PlayCrafters Group. 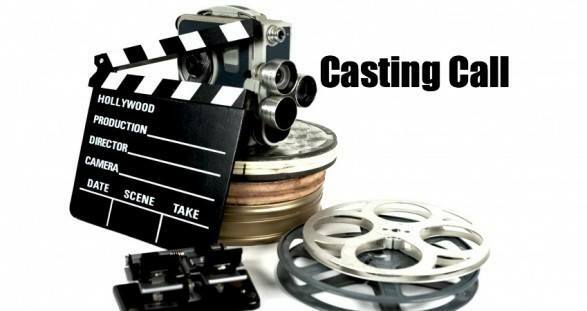 As its Director, he specializes in helping writers from all over the country develop producible scripts for motion pictures, television and theatre. Through creative counseling and objective feedback, he encourages writers to focus in on the essential elements of their stories in viably dramatic ways. JOIN US LIVE: Thursday, Dec 10, 2015 11am ET, 10am CT, 8am PT Click the bolded link below. Chatroom open during discussion. His script development service has been rated in the Top Ten and recommended as the Best of the Best Buys in Creative Screenwriting Magazine’s review of leading script consultants from all around the country. In addition to private coachings and consultations, Mr. Breckenridge has created a number of Courses and Workshops for the beginning as well as the advanced screenwriter. Mr. Breckenridge served as Juror for the Theatrical Motion Pictures Nominating Committee for the Screen Actors Guild Awards, The Philadelphia Film Festival’s Feature Film Competition, The American Independents category for the Philadelphia Film Festival/Cinefest as well as the Bucks Fever FilmFest. As a director and creative writing consultant, he has helped in the staging and conceptualizing of well over 200 dramatic scripts. Mr. Breckenridge credits much his creative consulting instincts to his acting background. Trained for the professional theatre, Mr. Breckenridge received his undergraduate degree in Theatre at the University of Wisconsin Stevens Point and his Master of Fine Arts degree from Temple University in Philadelphia. Over the years, he has performed professionally on radio, television, film and on stage. Most of his acting credits came from New York City. This work has also taken him to Europe twice, once touring Germany and Italy, and a second time, appearing at The Edinburgh Festival in Scotland and in London. Though working fulltime for The PlayCrafters Group, he currently maintains active memberships with The Actors’ Equity Association and the SAG-AFTRA Union. 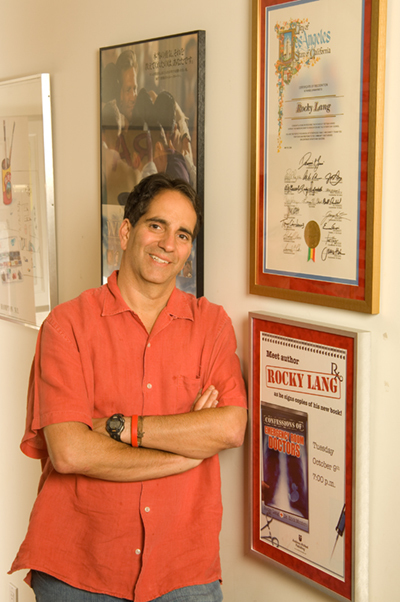 Past affiliations have included The Charles Maryan Workshop for Playwrights and Directors, Ron Roston’s Playwrights Lab/Writer’s Circle, Stella Adler’s Scene Interpretation Class and The Freestyle Repertory Theatre in New York City where he judged improvisations for structure, content and story development. Mr. Breckenridge created and served as Director of The Breckenridge Workshops from 1983 – 1988. He was also a founding member of PlayMarket, an organization whose purpose was to assist dramatic writers in focusing and shaping their scripts towards production. 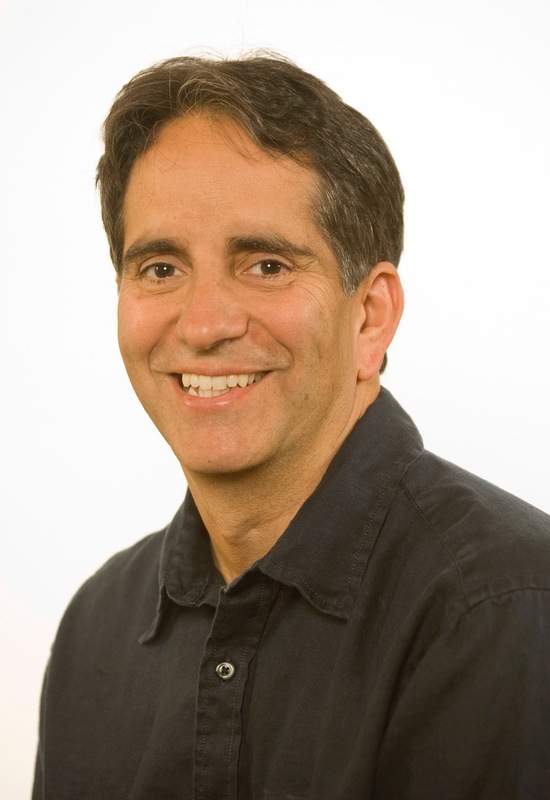 Presently, he is a member and/or supporter of The Drama League, The Dramatists Guild, The Theatre Communications Group and LMDA – the Literary Managers & Dramaturgs of the Americas. It was a great festival. Nov 11-14. Ian Teal and Kathy Fehl, Holly Martin and staff and volunteers put on another great film festival. Number 5. If you missed it you missed another one you should have attended. Great films and great people. Good hanging out, good conversations, good food and drink. All in all – a time well worth it. We left, after the closing night party. I drove Jacob, Marie and Louis back to the Green Fountain Inn B & B in Waupaca. We were all pretty beat. Said good night and went to our rooms. I had to leave by by 7:30 to make it back for a morning event. Later, I would film my role in, ‘Two Sides Of The Street’, a SAG short subject I was asked to appear in. Barb delivers breakfast around 7 for Jacob, Marie and I. After finishing a delicious meal Marie and I say goodbye to Barb, one of the owners of the B & B, and to Jacob. Louis slept in. I drove Marie to Milwaukee’s General Mitchell Airport where she caught a plane back to Los Angeles. It was an enjoyable time talking all the way. I did stop and buy an emergency tire inflation canister and put that into the tire. We made it. I left her at airport went to my morning meeting. From there my friend Jill accompanied me to the location for filming. My darling daughter dropped by, briefly, too. We finished filming some hours later. When I got to my car I discover a lovely note, my daughter left, on my windshield. Awesome girl! Filming was fun, lighthearted, fast and easy. It was a very nice time. Special thanks to director Scott Covelli, Brian and Mike Hendricks and Matt Hudson. They were a lot of fun and made things easy. When completed Jill and I dined on delicious Mexican food. I felt as if I had consumed a small child when finished. It was tasty. Recently, the Pro Cinema Society and I sponsored a SAG/Aftra workshop presented by Kathy Byrne of Chicago SAG/Aftra. During our time together she addressed how easy it is to utilize professional SAG/Aftra talent in student films, shorts and Ultra Low Budget contracts. It was a good session. I asked the film crew on ‘Two Sides Of The Street’ the SAG short I appear in how easy it was to make it union so I could be in it. They stated they were amazed and delighted how easy and pain free it was. Paperwork was nothing and they were glad they did. I am glad they did too. POINT- investigate, find out and you too can go SAG/Aftra. It isn’t worth it. Even some filmmaker friends of mine have been skittish because of contracts or paperwork. Don’t be. Read it and make your movie or short. I arrived home early evening but it seemed late, after midnight. I relaxed, said hello to those I had left behind and enjoyed the company. 7:25am (present) Monday 11-16: I got some sleep. Woke at 3am and began writing blog again. I will leave shortly for the university. I have a guest coming to class. 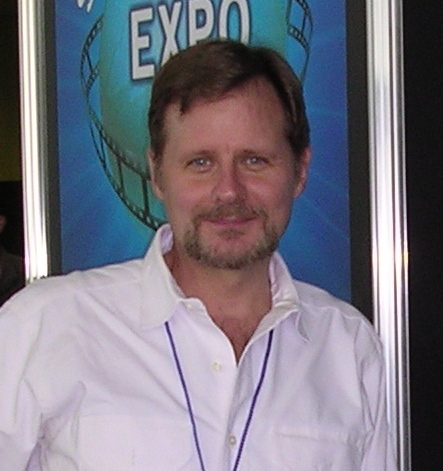 Director Michael O. Sajbel. Michael worked Visual Effects in movies, ‘Hot Shots’, ‘Lawnmower Man’, ‘Broken Arrow’ and others. He writes and has directed, ‘The Ride’, ‘One Night With The Kind’, and ‘The Ultimate Gift’ and others. I am looking forward to his talk with my students. Class was great. Michael come accompanied by his daughter Anastasia, and his assistant Sean. He spoke about how he got his start writing in Hollywood. He encouraged students to follow their passion. He reminded them to remember basic survival skils while pursuing a career. Discover where you want to live, rent don’t buy a house, the need for a car, where to meet people and emphasized networking. He told stories of working with actors and the importance of good communication skills. This is a must. Then, he shared some stories of working with difficult stars. He was candid and fun and added value to the class. This continued later. When finished, he offered to stay and continue to speak with students who could stay. A group of students and the four of us went to the Student Union and chatted for hour or more. More tales and more sound advice. From there the four of us went to Soup Bros for lunch. Enjoyed more conversation and good food. After another hour or so we parted ways. I returned to the computer to publish this post. So that wraps up Weyauwega time and a short while after. Life returns to normal for a time being. I am so glad I had the opportunity to again make this festival. It was my forth year and it gets better each time. Next year, perhaps, I’ll meet you there. Meanwhile, make your movies and complete your projects. Join me on my Inet radio show and podcast Rex Sikes’ Movie Beat – Visit INTERVIEW at the official website: Rex Sikes Movie Beat . There are over 400n hundred hours of pro filmmakers sharing their expertise. Listen and learn. Also join me at ‘Inside The Film Business’ at my Rex Sikes’ Movie Beat channel on Rex Sikes’ Movie Beat. I am video recording, via skype, my professional filmmakers who address my class. Watch, listen and learn and in both shows, RSMB & Inside The Film Business. 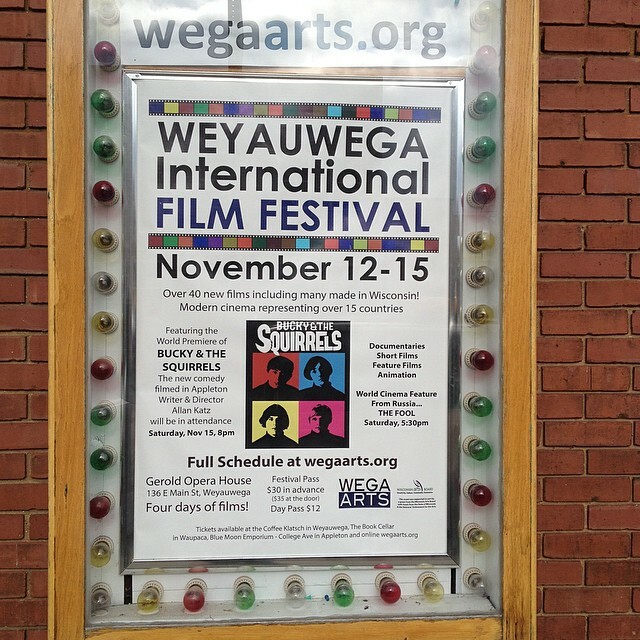 The final day of the Weyauwega Film Festival begins. Jim Breckenridge, script consultant launched the day with a presentation of what makes good screen writing. He addressed, first, the business side of spec screenwriting, and the likelihood of selling your screenplay. From there he traversed the area of structure, subtext, events, dialogue and how to write good stories. Other areas covered were conflict, internal meeting external conflict and depth of conflict, events, white space and closed endings. There is a deep need for humans to bring order to their experience and have closure. He suggest writers consider this when writing because readers, buyers and movie goers unconsciously are seeking. He proved to be a wonderful storyteller, which illustrated his approach to storytelling in screenplay form. Hurt them then heal them. Create a character audience can identify with. Hurt them in some fashion. Then provide the opportunity for the character to heal. He stated that while the film is written three times the script you use to make the movie must be well written to begin with. A very delightful and informative presentation. A great Q & A followed. Back in time, breakfast at the Green Fountain Inn, our B & B. a lovely place in Waupaca, began at 8am. Louis, the director from NY I mentioned yesterday in Day 3, Marie, Jacob and I dined on a delicious breakfast of, fruit, french toast, bacon for meat eaters, coffee, juice and conversation. We took back roads to the Gerold Opera House to recreate the walk Marie and Jacob made yesterday. Deciding they would like to, they trekked 10 miles to the festival, stopping for a Wisconsin Fish Fry, nearby, for lunch. The Upcoming panel on filmmaking includes, actors filmmakers Dan Davies, Craig A. Knitt, Kathy Fehl, Ian Teal, and me. Even cooler, the panel evolved into a round table which included filmmakers from Wisconsin, England, NY, Florida and more. Jim Breckenridge joined as well. A nice time around the table with cool people. Popcorn is popping. Movie goers appearing. Movies begin shortly. It was good to be able to chat up with Craig Knitt and Dan Davies, both of whom I have not seen in a half a year perhaps. It was really nice to listen to Jacob and Marie discuss their film in the Q & A. One of the commenters addressed a peculiar aspect of the film “The Family and the Animals’ by Marie Hobson and directed by Jacob Hesmondhalgh. There is no narration, there are no subtitles, the viewer is thrown into the same world the filmmakers were, however, as the commenter pointed out, which is accurate, the story is still very clear and easy to follow from the visuals alone. You get it. Dan Davies, Florida actors, director and more presented a 3 minute preview of ‘Heartland Blues’ a feature to be premieres January 23 at the Marion TWin in Ocala, Florida. Directed by Sarah Ashley. In attendance are film’s producer, star Anthony Gilardi. Actors Joshua Holt and Alex Quinn. All the shorts in this first block were interesting fare. Again, programming here at Weyauwega is something these festival presenters can be quite proud of. The afternoon features are the post apocalyptic ‘Embers’ directed by Claire Carre and the Hollywood made, comedy dating romp, ‘Dirty Beautiful’ directed by Wisconsin native Tim Bartell. Lot’s of good food. People coming in throughout the day. It was great to catch up with Cody Klimmer. We worded on the Hollywood Feature filmed in Appleton, ‘Bucky And The Squirrels’ directed by veteran television writer director Allan Katz. 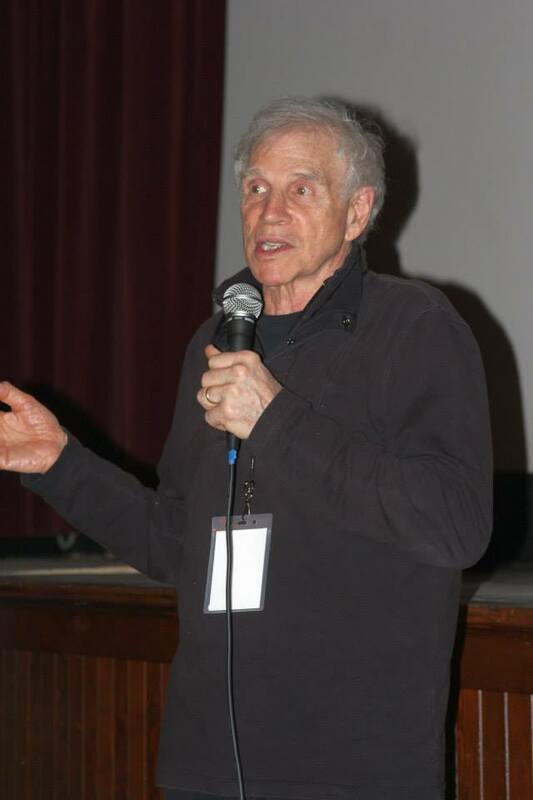 Katz accompanied the film to Weyauwega #4 for a sneak festival screening of the feature prior to it’s premier in Appleton April, 2015.Since we finished the film and last saw each other Cody has been back and forth adventuring in the Far East. Glad to see him! A stat not presented in the movie, or at least not yet, is that 80 percent of the brandy consumed in the world is consumed in Wisconsin. AND a whopping 80% of that brandy is consumed in Marathon County. Anyway, a tasty sweet drink you can absolutely lose count on.’Old Fashioned’ director Holly De Ruyter in attendance will address the movie afterwards. Old Fashions were served and plentiful here, brandy being a Wisconsin favorite booze after beer. The Supper Club and the Doggy Bag was originated in Beverly Hills by Laurence ‘Lawry’ Frank and Walter Van De Camp on La Cienega. Embraced by Wisconsin hundreds sprung up. This movie is fascinating and well done. My cocktail is too! I have eaten many times at Lawry’s Prime Rib and had no idea. I lived in Los Feliz and drove through Atwater nearly daily and never knew this tidbit I discovered on the Inet. Frank and Van de Kamp founded the Lawry’s company and created the Tam O’Shanter Inn restaurant in the Atwater Village in 1922. It claims to be the oldest restaurant in Los Angeles still operated by the same family in the same location. From the movie: The old fashion come from a line of drinks created in the 1700’s. Sweet drinks originated during prohibition when rot gut alcohol was difficult to drink so soda, fruit, and other sweeteners were added to be able to swallow them. Brandy drinks are known world wide as a Wisconsin drink. Other areas make whisky or bourbon old fashions. A relish tray, veggies, cheese spread,and bread comes first. Soup salad. Definitely steak, prime rib, fish or chicken. Choice of potato. Desserts optional. Often an ice cream drink finishes up the meal. A grasshopper or pink squirrel. Signage had to be big, bold, Neon and colorful to attract drivers hurtling down the highways at high speed. Specials include; the traditional Friday night fish fry. Saturday night prime rib. A movie point: Wisconsin is bordered by the Mississippi to the West, Lake Superior to the North, Lake Michigan to the West and tens of thousands of lakes and rivers so Wisconsin was ripe for the rise of the fish fry. Having a large Catholic population who could not eat meat on Friday for many years PLUS prohibition combined to make the fish fry a Wisconsin Phenomenon. You must see ‘Old Fashioned’ and visit remaining supper clubs when visiting Wisconsin. A supper club tradition is fresh and the best food ingredients; home made was/is the rule of the supper club. ‘Made from Scratch’. High quality; no frozen, pre-measured, packaged, precooked, just add liquid food staples that chains are known for. Yes, I have given this topic a lot os space but it is a huge part of Wisconsin history, even if it did originate out west. The supper club is unique, and delightful. Another facet of the S.C. is the social element and relationship with the owner and their family. Connections and friendship, community is what drives the supper clubs appeal. People liking people, hanging together. Holly did a great job answering questions and made books and dvd’s available in the back of the room. Quite a popular topic at this festival as people lined up for drinks, product and to be put on Supper Club mailing list. Since we are at a Wisconsin film festival I thought you ought to know. Again, all the movies shown at this year’s festival were excellent selections. One or more may not be my cup of tea, but all were very good for a variety of reasons. Had you been here I am sure you would have enjoyed the program selections. UP next ‘Frame By Frame’ follows four photo journalists navigating modern day, dangerous Afghanistan. Directed by ALexandra Bombach and Mo Scarpelli. A fascinating film. 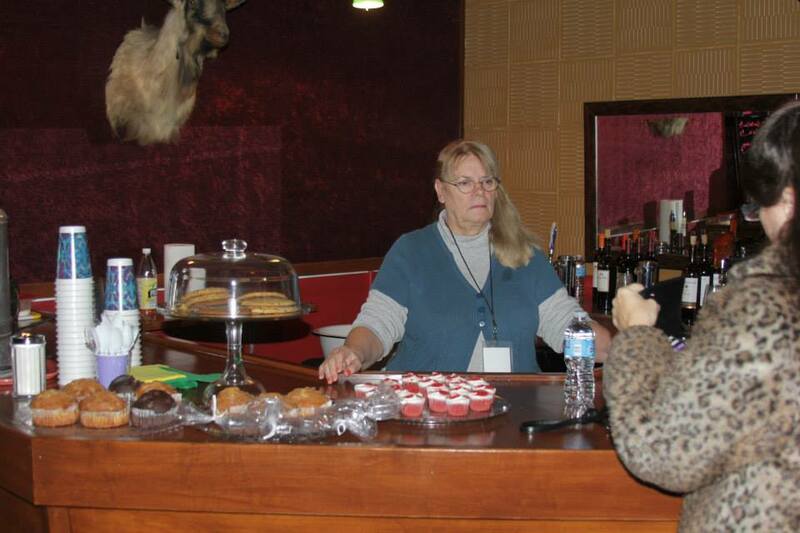 The film concludes as does the picture portion of the 5th Weyauweyga International Film Festival. Now begins the thank you, awards and a reception party. Outstanding Foreign Language Film goes to Austria, Germany ‘Everything Will Be Okay’. Best Animated from Germany ‘Daewit’. Best Narrative Short, ‘Beverly’, from England. Live Music, jazz band ‘Waiting For The Train’, drinks, cheese, crackers and camaraderie round off the evening. I had an delightful time closing the evening with the Florida filmmakers and Dan Davies I mentioned earlier. When finished, the Gerold Opera House will close for the evening. I will drive Marie, Jacob and Louis back to the Green Fountain Inn. Early breakfast before we part ways. Marie will accompany me back to Milwaukee to catch her flight to L A later on Sunday. Louis and Jacob will fly out to NYC and England, respectively, later in the day. Nice people all of them. I am glad I got to dine and know them a bit during our time here. It will be ‘so long’ to Weyauwega and to Green Fountain Inn until the next time. If you are in the area check out the shows and happenings at the Gerold during other times during the year. Visit the website and Fb page. Also be sure to book a night or two at Green Fountain Inn when traveling this way. All good. All good people, times, films and fun. Until the next time. Hope you enjoyed this. I sure enjoyed the festival! Now in its eighth year, the western Wisconsin film event soars higher than ever! Listen To The Discussion Using Link Below! Here is The Flyway Film Festival official program selections for the October 21-25 festival. Flyway showcases top-notch emerging filmmakers from across the globe. 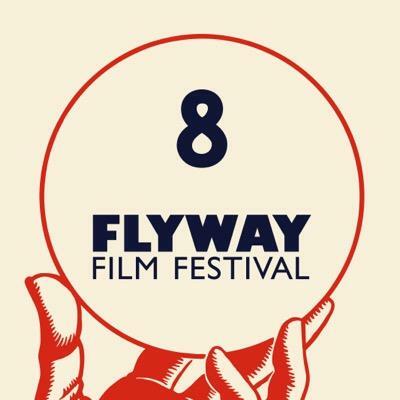 Since its inception eight years ago, the Flyway has won accolades from industry professionals, filmmakers, and audiences for the excellence of its film program and for the festival’s intimate, welcoming atmosphere. The festival kicks off with a party on October 21st, and the opening night film on October 22nd will be The Driftless Area, starring John Hawkes, Zooey Deschanel, and Anton Yelchin. 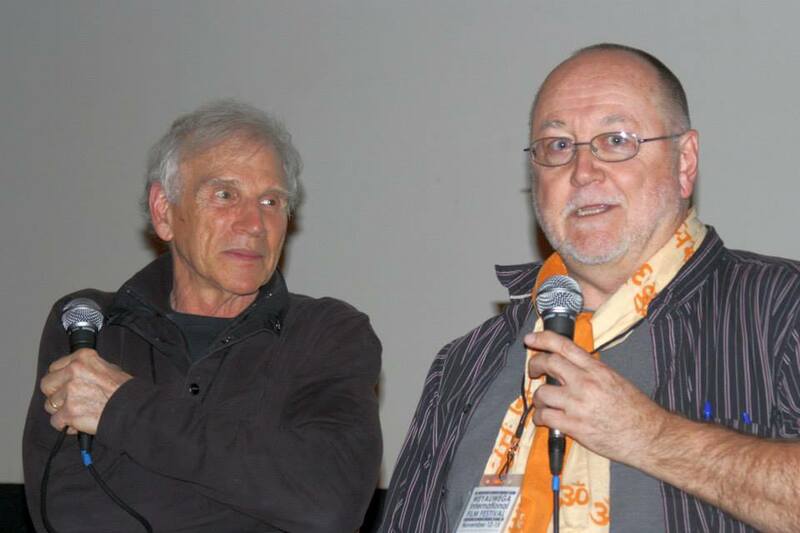 “And on the other end of the scale, we’re showing films by two of the world’s oldest filmmakers: Al Milgrom’s Dinkytown Uprising, and Albert Mayles’ last film, In Transit,” adds Vaicius. Legendary documentary director Maysles died earlier this year at 88; the 93-year-old Milgrom is planning to attend the Flyway. World premieres at the festival are Pictures of Lily, by British director Mark Banks;Remittance, by Patrick Daly and Joel Fendelman, and Second Honeymoon, by Dutch filmmaker Kristjan Knigge. This is Knigge’s second visit to the Flyway: he fell in love with the area last year, and is planning shoot his next film in Pepin shortly after the festival ends. Visitors to the Flyway Film Festival can meander up and down the Mississippi River to the movie and event venues in the river towns of Maiden Rock, Pepin, Stockholm and Alma, Wisconsin, and across the river in Red Wing, Minnesota. A year-round tourist destination, the area is particularly scenic during the the Flyway, as the fall colors peak and the Mississippi River ‘flyway’ — a route taken by migrating birds — attracts birdwatchers from around the world. In addition to showing films, the Flyway will offer a series of workshops and mentor sessions with industry experts such as Seed&Spark’s Erica Anderson, King is a Fink’s Julie Keck and Jessica King, location manager Charlotte Ariss, and filmmakers Emily Ting (It’s AlreadyTomorrow in Hong Kong) and Norah Shapiro (Miss Tibet: Beauty in Exile). Other industry heavyweights, such as Ted Hope and Brian Newman, will be around to chat with attendees. New at the Flyway this year is a series of music performances preceding the films. City Pages‘ 2015 “Best Acoustic Performer” LOTT (Leah Ottman) will perform before select films, as well as singer/songwriter JE Sunde. The festival kicks off with a party at the Villa Bellezza, a spectacular winery and event center in Pepin, at 6:00 on Wednesday, October 21st. Twin Cities band Fort Wilson Riot will perform, and Deirdre Haj, director of the Full Frame Documentary Festival, will give the keynote address following the kind of banquet for which the Flyway has become famous: a potluck. Saturday, October 10, 4:00 PM: A program of short films will screen at the St. James Hotel in Red Wing as part of the Red Wing Fall Festival of the Arts. Wednesday, October 21, 6:00 PM: Kickoff Gala with keynote by Deirdre Haj, music by Fort Wilson Riot, and festival awards ceremony. Thursday, October 22: Workshops during the day; opening night film (The Driftless Area) at 7:00. Friday, October 23: Workshops during the day; films begin at 7:00 PM. Saturday, October 24 and Sunday, October 25: Films begin at 11:00 AM; closing film (Frame by Frame) at 5:00 PM on Sunday.